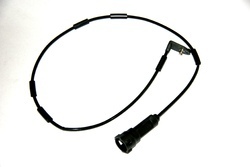 - we are engaged in offering brake pad sensors. WABCO offers a reliable brake pad control solution for WABCO Trailer Electronic Braking System (EBS) and WABCO Vario Compact ABS of the second generation (VCSII) with GIO function–the Trailer EBS Brake Pad Wear Indicator (BVA). The ABS/EBS warning lamp informs the truck driver when the brake pad has reached its wear limit. We are offering our client an excellent quality range of Volvo Truck brake pad Wear Indicator. These are manufactured from qualitative range of raw materials, which is quality checked by our team of experienced professionals. Supplier & Distributor of Disc Brake Pad Indicators. Our product range also comprises of Brake Pad Wire Sensors, Brake Pad Wear Sensors and Brake Pad Wear Indicators. Supplier & Distributor of Disc Brake Pad Indicators. 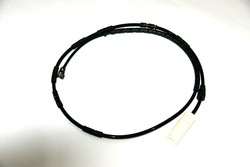 Our product range also comprises of Brake Pad Wire Sensors, Brake Pad Wear Sensors and Brake Pad Wear Indicators. - Brake pad wear depends upon the severity of usage, the type of riding & road conditions.